The UAE’s Federal Competitiveness and Statistics Authority (FCSA) has signed a strategic partnership agreement with Abu Dhabi Ports to support the United Nations (UN) World Data Forum 2018, which will be hosted by the UAE in October. The agreement was signed to strengthen cooperation frameworks and activate joint action for the forum, which will see the participation of government leaders, policy decision-makers and more than 1,500 global experts and specialists in the field of data and statistics, said a statement from the organisation. The official partnering ceremony was held at the FCSA headquarters in Dubai, with the agreement signed by Mohamed Hassan Ahli, executive director of the National Statistics and Data Sector at the FCSA and Abdullah Humaid Al Hamli, executive vice president of corporate support at Abu Dhabi Ports, in the presence of senior officials from both parties. “As well as strengthening the logistics sector’s role as a vital resource for local economies, it is a key factor in maintaining the UAE's leading position on global competitiveness indicators,” he said. “The participation of Abu Dhabi Ports in the forum is of particular importance as it contributes to highlighting the UAE’s achievements in the use of statistical data and information. The organisation’s inclusion places a spotlight on the development of the UAE’s world-class port sector and showcases its role in meeting the growing demands of maritime transport and logistics,” he added. Abdullah Humaid Al Hamli, executive vice president of corporate support at Abu Dhabi Ports, reiterated that the signing of the agreement with the FCSA was in line with the directives of the UAE's wise leadership to encourage all parties to strengthen cooperation to achieve the goals and aspirations of UAE Vision 2021. “We are proud to support the forum, which confers numerous benefits to companies and institutions from the public and private sectors, as well as individuals involved in the field of data,” he added. “The forum is a premium platform that promotes the exchange of ideas on the best ways to implement modern technologies and to benefit from the collection of data, statistics and accurate information to achieve SDGs at the local, regional and global levels,” he added. 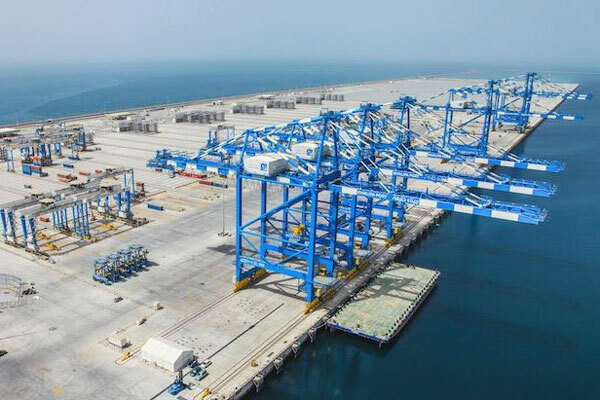 The agreement signed between the FCSA and Abu Dhabi Ports also stipulates that the two parties should utilise their expertise to contribute to the development of national competencies, improve their skills in the field of statistical data and information and to employ them to the best of their abilities to realise UAE Vision 2021 and UAE Centennial 2071, it said.